Many people don’t even think about the care of their plumbing system until it becomes an issue. As with most other major household systems, every plumbing system needs regular care and maintenance for best day-to-day performance – and most of all to help keep your household running smoothly. Rather than wait until you need emergency service, it’s good to know the key areas of your home to check for leaks. 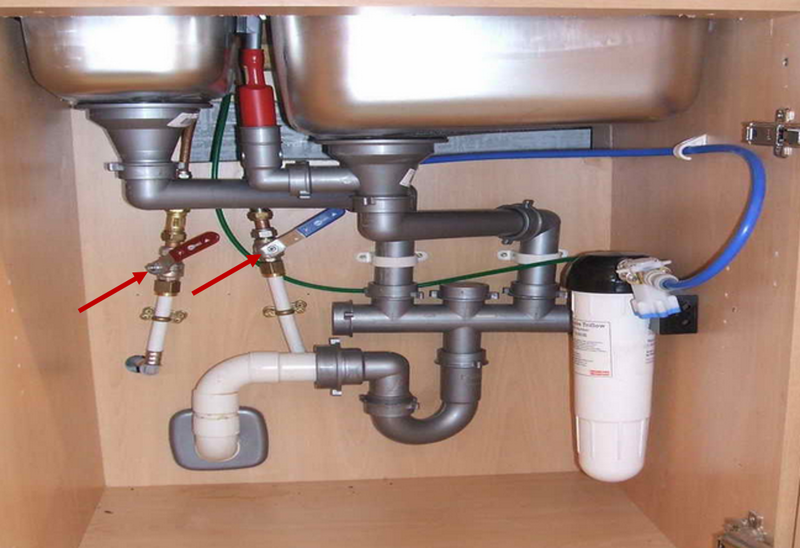 • Areas where leaks can occur, such as: kitchen and bath faucets, pipes under sinks, showers and bathtubs. Check these areas periodically. The sooner water leaks are detected, the better off you are. It’s best to have plumbing repairs taken care of immediately so as not to incur additional damage and expense. Allowing small leaks to continue, there is greater potential of damaging floors, drywall and fixtures. 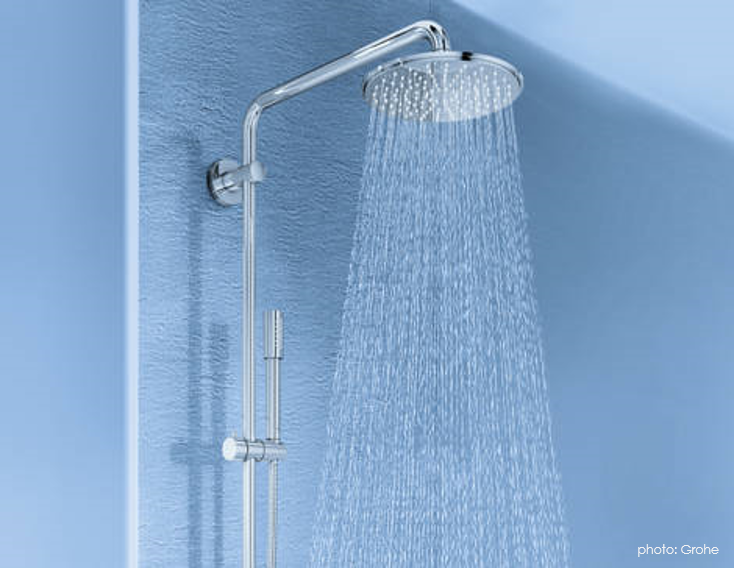 • Once water pressure is noticeably low, there is a change in the color of water, or when there are slow draining sinks, showers and tubs… Call your plumber at Marlin Services for professional service and repair 24/7. • Excess water on the floor, loose tiles on tub surround, or damp walls hours after a bath. • Kitchen sinks and toilets with discolored water, or faucets making rattling sounds when water is running. 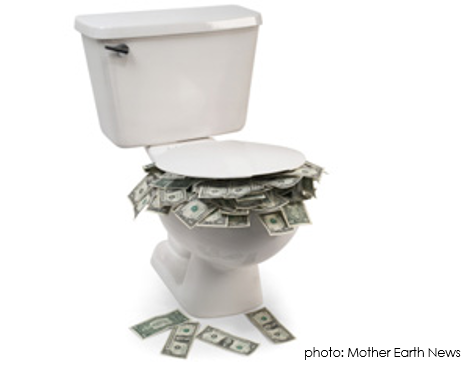 • Plumbing leaks can be a substantial expense, when left untreated. We encourage you to check for signs of leaks and plumbing concerns regularly and especially before leaving home on vacation. If you watched the video from World Plumbing Day 2015, which was March 11th, you saw that California (and other parts of the world) are in crisis with their water supply. It’s a big story in the news these days and the water supply shortage is a big problem that will be difficult to solve. This crisis is a reminder to everyone, not just California residents, that we must be vigilant about water conservation now. Let’s not wait until it’s a crisis here in Arizona. Kitchen: Collect the water you use while rinsing fruit and vegetables. Use it to water house plants. 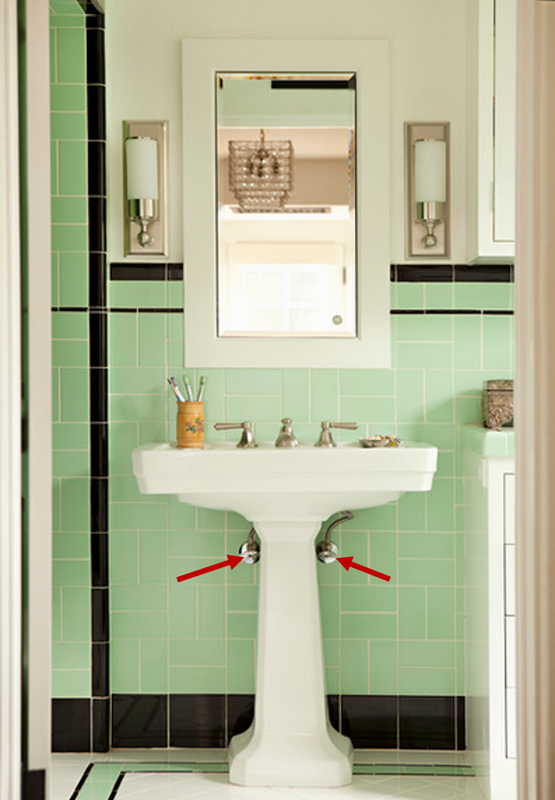 Bathroom: Turn water off when brushing teeth or shaving. You can save approximately 10 gallons/day. Outdoors: Water early in the morning or later in the evening when temperatures are cooler. You can save 25 gallons/each time you water. Work: Monitor your bill and water meter to determine unusually high use and possible leaks. Be sure to check out all the tips on the interactive website. You may be surprised at how many easy changes you can make that will impact your water consumption. Take a look at these videos and you will learn about the water supply crisis throughout the world. It is a good reminder for all of us to take efforts to conserve water. Let’s Celebrate World Plumbing Day – March 11, 2015! World Plumbing Day is March 11th every year! Many of us don’t think much beyond our own plumbing needs and likely do not spend a lot of time thinking about plumbing at all. World Plumbing Day, however, really brings forward all the plumbing and water issues we have globally. Again, it’s not something we think about very much but when you hear the statistics about available clean and healthy drinking water globally, they are a bit startling. China has 20% of the world’s population, yet has only 7% of the world’s fresh drinking water. 39% of the water in China’s rivers are considered to be too toxic to drink. 1/3 of Spain is at risk of turning into desert as a result of poor water management. India lacks a sustainable water management system and only has 20 years until its aquifers reach what will be considered critical condition. More than 76% of California is currently in extreme drought. Texas, Oklahoma, Arizona, New Mexico and Nevada are also facing extreme droughts in 56%-87% of the state. 750 million people (approx.. 1 in 9) lack access to safe water globally. 5 billion people (approx. 1 in 3) don’t have access to improved sanitation. The importance of professional plumbers is clear and it is important globally. Water conservation and healthy, safe water is vital in the coming years and our plumbers play a big role in this. Wish your plumber a HAPPY WORLD PLUMBING DAY! For some additional information on World Plumbing Day and the World Plumbing Council and their mission. We are all so busy these days. Laundry is something that seems to keep piling up with no end in sight. We want to get it done as quickly as possible and get in and out of the laundry room so we can enjoy the sunshine of Arizona. It’s easy to become complacent and overlook simple steps which keep things running smoothly in the laundry, conserve energy and keep your family safe. Sometimes these simple steps seem so minor, we feel like they cannot really make a big difference in our lives. But they really do help and can prevent trouble prematurely, like having to replace your washer and dryer earlier than expected. Inspect washing machine hoses for signs of wear. Replace rubber hoses with stainless steel braided hoses. (Available from your Marlin Service Tech.) They last longer and are resistant to leaks and cracks. Use a strainer on your washing machine hose. Marlin has strainers specially designed to fit laundry hoses. Apply an enzyme drain cleaner (available from Marlin Services) to laundry drain lines once each month to keep lint and detergent scum from building up and causing clogs. 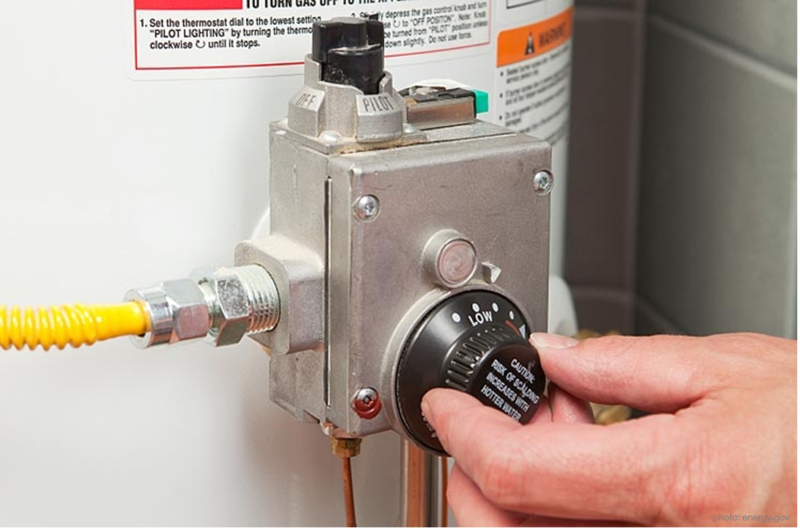 Conserve energy and prevent scalding by checking the temperature setting on your water heater. It should not be above 120 degrees Fahrenheit or medium setting on older models. 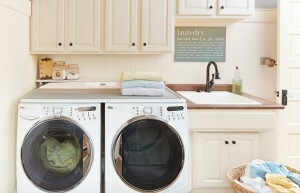 Consider replacing a worn out washing machine with a more efficient front-load model. You don’t want to be in the market for a new washer and dryer very often. The average life span is somewhere between 12 and 13 years. Follow these simple tips and maybe you can extend the life of these appliances even longer. Water conservation is a “hot” topic these days, as many states in the U.S. face water shortages. The EPA (Environmental Protection Agency) has worked hard over the past couple of years to instill the belief in everyone that we need to take conserving water seriously. They have developed strategies and driven federal water efficiency requirements to get people to make water conservation a way of life. 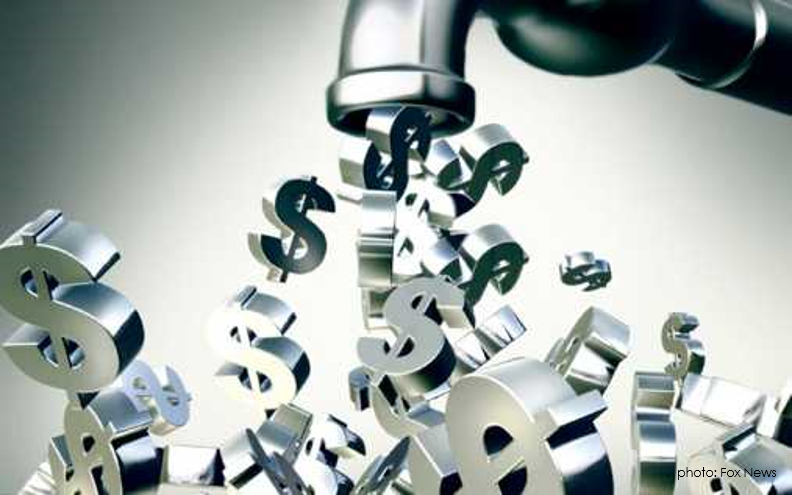 In past blog posts and social media posts, we have talked about leaky faucets and leaking toilets and it’s always shocking to hear how much water is wasted in the average household every year. That wasted water translates to two very important things – wasted resources that are already becoming scarce and higher water bills. Water pressure in your home above 60 pounds per square inch is harmful to your plumbing system and will cause excessive water usage. 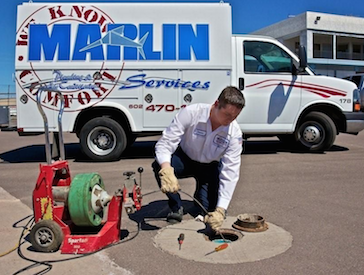 Contact Marlin and schedule a twelve point plumbing inspection check which includes a system pressure test. If it exceeds 60 pounds, consider installing a pressure reducing valve that will limit the water pressure within your home. 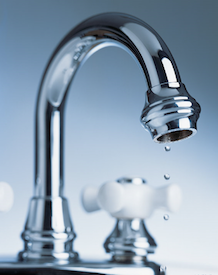 A leaky faucet that drips once per second can waste more than 8 gallons a day. That’s 3,000 gallons per year! These all are very simple steps on the road to water conservation. Everyone can do it! The holidays are coming, bringing together family, friends and a few plumbing emergencies. A majority of Americans take part in holiday parties with 11 or more guests around Thanksgiving and Christmas. 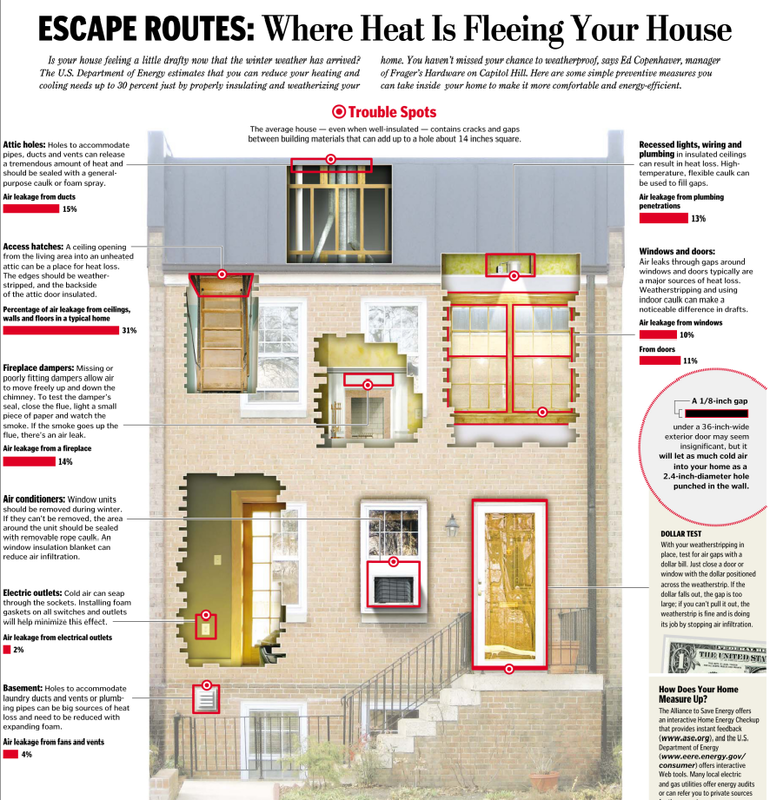 These extra guests put a serious strain on a home’s plumbing system, which results in more emergency calls to plumbers. The last thing you want to do is call a plumber before, during or after a big holiday gathering. Big holiday meals require a busy kitchen. Too much grease and food finds its way into the kitchen drain. Foods that shouldn’t go into the garbage disposal sometimes find a way there. Holiday guests also equate to extra showers, bath and lots of extra toilet flushes. It all adds up to potential plumbing disasters. Avoid pouring fats or cooking oils down the drain because liquid fats solidify in the pipes and create clogs. Wipe congealed grease from pots. 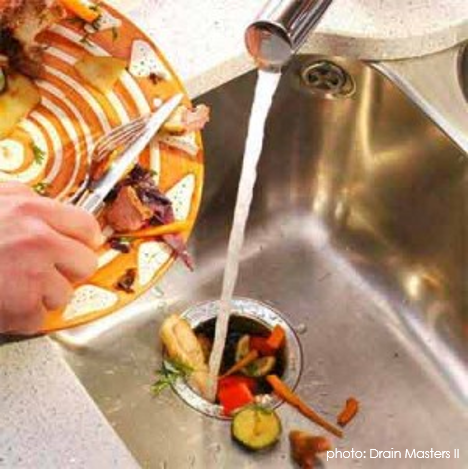 Run cold water down the drain for about 15 seconds before and after using the garbage disposal to flush waste down the main line. Before putting dishes in the dishwasher, scrape food bits off the plates, pots and pans. Winter/holiday cooking can be tough on dishwashers. This are simple tips and very easy to do. A little pre-holiday thought and planning can go a long way in ensuring that your gatherings and celebrations go smoothly and are problem-free. Where Are Your Water Valves? In the case of an emergency like a leaking faucet or a bursting pipe in the bathroom or kitchen, you can turn the water valves to stop the flow of water which stops the water from getting all over the house. It is also a good idea to teach children, who are old enough to stay home by themselves, where the valves are located. 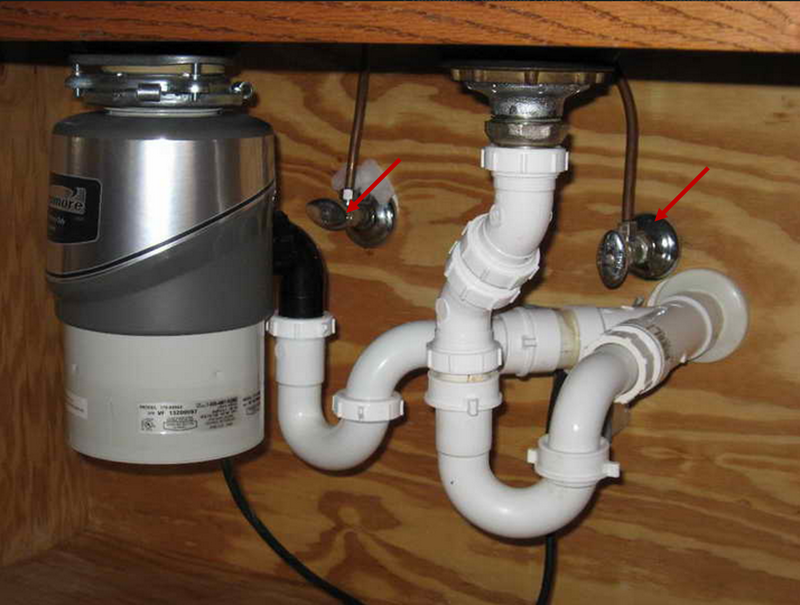 Each sink in your house has a water valve. 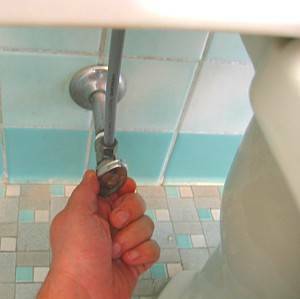 There are water valves for the toilets in your house as well. And your washing machine also has water valves. The question is – do you know where they are located should you need to turn them off in an emergency? We are showing you the individual water valves for the sinks, toilets and washing machine. There is a main house valve, when you need to turn the water off in the entire house. 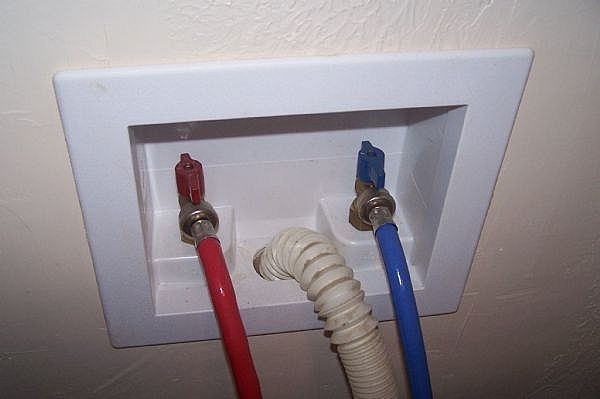 However, shutting off these valves, directly connected to the fixture will give you time to call a professional plumber and get him to your house to fix the problem. When turning off these water valves, you want to turn clockwise (or to the right). When turning the valves back on, turn counter clockwise (or to the left). Typically newer valves will require only a ¼ turn to close however some valves will require several turns to close. Unfortunately some of the older valves requiring several turns have a high failure rate and may not actually stop the flow of water. It is recommended that these valves be replaced with a ¼ turn valve. Here are a couple of photos that show 2 different types of turn-off valves. This will help you recognize them, if you have one or the other. They are easy to locate when you look in the cabinet under the sink. As with the kitchen sink, they are easy to locate in the bathroom as well. 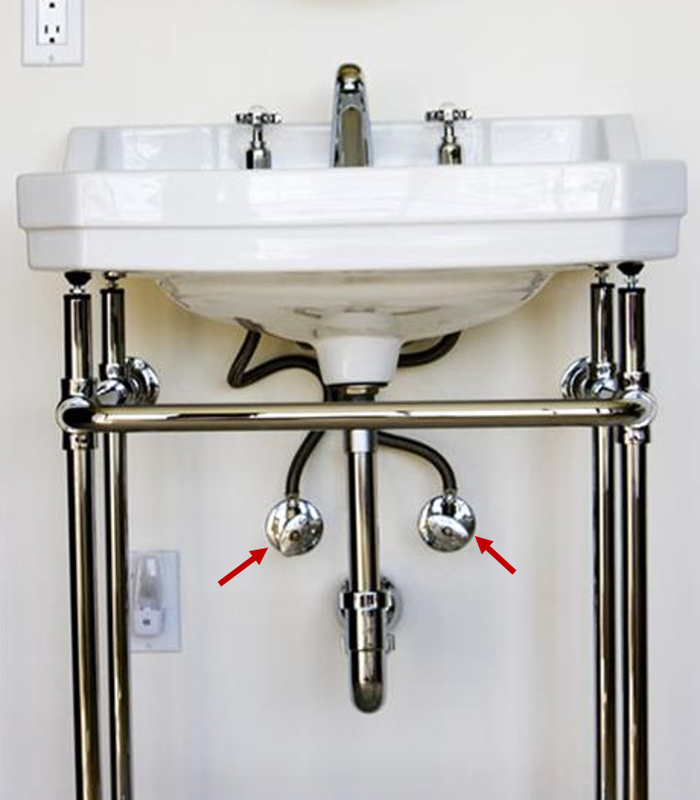 These samples are open, pedestal type sinks but when there is a cabinet in the bathroom the valves are still easily identifiable if you need to turn off the water quickly. A burst washing machine hose can discharge 500 gallons of water in one hour, which will cause flooding problems quickly. The water valves are easy to locate. It may be behind the washing machine or it can be located above the washer. See the two samples below. They are located right behind the toilet. You will have to get down on hands and knees to reach it but it is easy to find. Hopefully you will not have an emergency with leaking faucets or burst pipes, but if you do, you know where to find the valves to turn off the water. Install a programmable thermostat – If you haven’t done so already, consider a programmable thermostat. As you do in the summer, you can control the temperature in your house by reducing the energy usage during the daytime hours, while your home is empty during school and work time. Replace your filters each month – As you do in the summer months, clean air filters will allow your heating system to work well, as efficiently as possible and even help extend the life of your system. With an efficient system, this will help you save money on monthly utility bills. Schedule your bi-annual preventive maintenance servicing – A great time to do your preventive maintenance servicing is when the weather is not too hot or too cold, so that you prevent issues that may arise. You don’t want to be forced to call your HVAC professional in the 100+ degree weather or, conversely, on the coldest day of the year. Seal air leaks – You want to be sure no heat is escaping through windows, doors or at the base of doorways. Keep curtains and shades open during the day – And close them at night. Take advantage of the natural sunshine during daytime hours when you have the thermostat set for minimal heat. Change thermostat batteries – The change of seasons (fall and spring) are a great time to change the batteries in the thermostat to be sure they are operating properly. As you can see, these steps outlined above are simple. They can make a difference in your comfort at home. 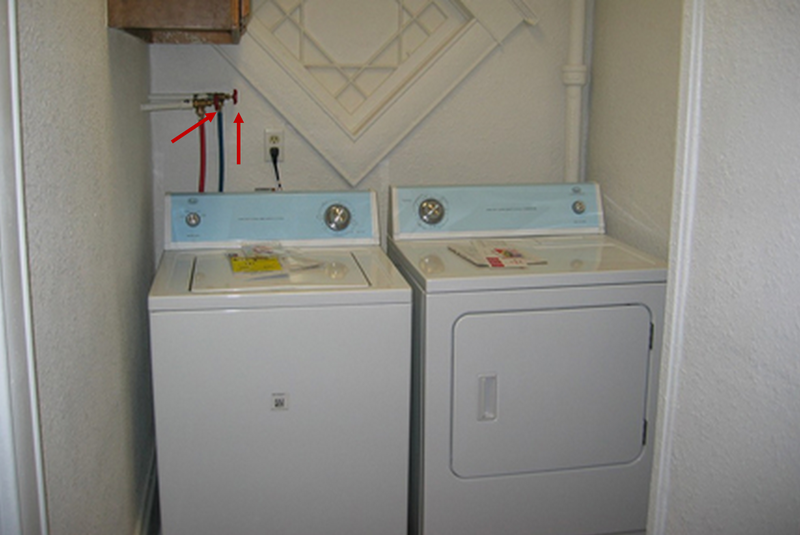 How to Keep Your Washer and Dryer Running at Their Best – They Need Some Love Too! One word says it all – maintenance. In order to keep your washer and dryer running as well as it should be, and to get the most out of your purchase, proper and regular maintenance is key. It is also what will help you avert some costly “adventures” such as flooding and fire. It’s easy to forget about your washer and dryer because they are usually tucked away in the back of the house somewhere, out of site and out of mind. And there are certain times of the year, like the recent back-to-school time, where your appliances get a real good workout. Lots of sports uniforms, dance clothing, sweatshirts, sweaters, sweatpants and school clothing – all need a good washing. Keep the washer door open after every load – it allows the moisture inside the drum of the washing machine to evaporate. Set the water level at the proper setting for the amount of clothes being washed – it is hard on a washer’s motorized components when not at the correct setting. Check your manufacturer’s recommendations for the amount and type of detergent you should be using – you can actually damage some models by using the premeasured pods. Empty clothing pockets – items left in pockets have the potential to damage the machine’s pump. 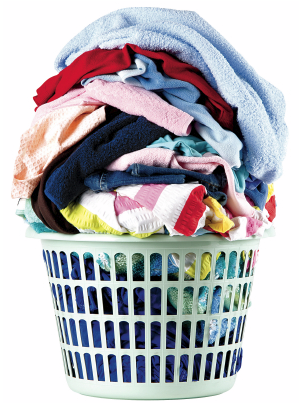 Don’t overload your washer and dryer – it will cause your appliances to perform inefficiently. The right size loads will extend the life of the motor and use less energy. Check the hoses connected to your washing machine – if it’s bent and your washing machine is older, you may want to replace those hoses (recommended every five years) to prevent a leak which can cause a flood. Check for tight fittings, bulges, cracks, and leaks. Tighten loose fittings. Replace damaged hoses. Replace the washer’s rubber hoses – steel-jacketed hoses won’t split open and are available from Marlin. Replace vinyl dryer exhaust ducts with metal ductwork – it will help to reduce fire hazards. Regularly inspect visually the dryer exhaust duct – you are looking for crimps, obstructions, and unnecessary bends. 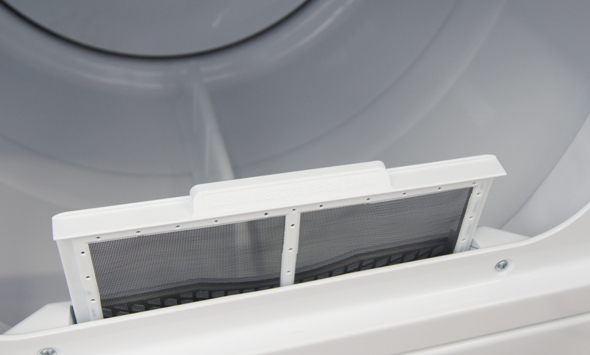 Clean out the lint filter – before (or after) every dryer load. Wash the lint filter with detergent every 3 months – it will help remove invisible chemical residues that can restrict airflow. Very much like a car, bike, a musical instrument or your air conditioning system, if you take care of your washer and dryer it will work efficiently and well and have a longer life. Thoughtful maintenance will go a long way in saving you money during the life of your appliances.